Hanuman puja during the nine nights of Navratri is considered highly beneficial. Why Hanuman Puja During Navratri? Navratri is dedicated to Goddess Shakti and Hanuman is Rudra Avatar. Thus there is a direct connection between the festival and Hanuman. 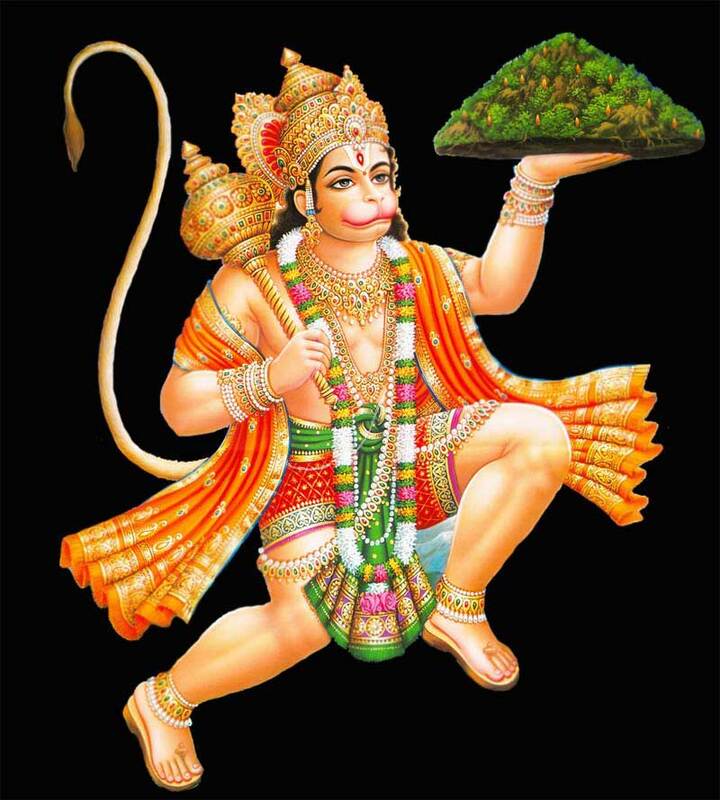 Another belief is that Hanuman who reached the island of Lanka was stopped by the guardian Goddess of the island. This was a manifestation of Goddess Parvati. When She realized that Hanuman is Rudra Avatar, she abandons the island and thus causing the downfall of Ravana. Before leaving the island she asked Hanuman to observe Navratri in Chaitra and Ashwin months. How to worship Hanuman during Navratri? Do all chanting and puja facing east. Light a lamp before Hanuman. Chant Hanuman Chalisa during the nine day of Navratri. Wash the murti of Hanuman with water. Then mix Sindoor and oil and anoint Hanuman Ji. Offer rose and marigold flowers. As Prasad or bhog you can offer Jaggery, Banana or Ladoo. Offer red color flowers just before ending the puja. Read Sundharkhand chapter from the Ramayana.